WASHINGTON, D.C. — Consumers Union, the public policy and advocacy division of Consumer Reports, has joined with the American Antitrust Institute and prominent law, economics, and business professors in submitting an amicus brief calling for a strong interpretation of the 2013 Supreme Court decision in Federal Trade Commission v. Actavis, which ruled that anticompetitive “pay for delay” agreements to keep lower-cost generic drugs off the market can be challenged under the antitrust laws. For years, drug makers who hold patents on brand-name drugs have made deals with the makers of generic drugs to hold off on putting the generics on the market. This allowed the brand-name drug to keep its monopoly longer and keep selling at the higher price. Deals like this can be worth hundreds of millions of dollars to brand-name drug makers, and they will often pay tens or hundreds of millions to the generic drug makers. The higher profits come at the expense of consumers, who are denied the opportunity to choose the less expensive generic alternative. Such agreements not to compete generally violate our nation’s antitrust laws. But because there is a patent involved, the drug companies had argued that the patent allowed them to make these anticompetitive deals and that the antitrust laws could not be enforced to stop them. The Supreme Court’s decision last summer in Actavis gave a green light to holding the pharmaceutical industry accountable under the antitrust laws. But almost immediately, drug makers began claiming in other cases that the Supreme Court’s decision only covers actual cash payments to generic drug makers, and that if the pay-off comes in some other form, the drug companies can continue to hide behind the patent laws and escape legal accountability. One of those cases is In re Lamictal Direct Purchaser Antitrust Litigation, pending in the federal appeals court for the Third Circuit. In this case, the pay-off is a promise by the brand-name drug maker that, when the generic drug maker eventually begins to market its generic alternative, the brand-name company will not market a generic of its own. 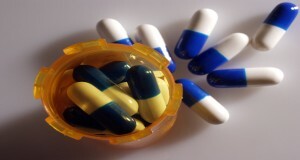 Under the Hatch-Waxman Act, the generic drug maker is given a 180-day “exclusivity period” to sell its generic drug, during which no other generic can be marketed, except for an “authorized generic” marketed by the brand-name drug maker. The promise by the brand-name drug maker that it will not market its own generic during that period can be worth tens or even hundreds of millions of dollars to the generic company – every bit as valuable as a cash payment. The amicus brief explains why the Supreme Court’s ruling in Actavis applies with equal force to payments in kind such as the one in the Lamictal case. For a full copy of the amicus brief, click here.